Sam Cooke was an extraordinary performer who appealed to both black and white audiences during a time of great social unrest. Known as the Father of Soul, Sam Cooke was born on January 22, 1931, in Clarksdale, Mississippi. He was the fifth of eight children born to Charles Cook and Anna Mae Cook. Sam later added the “e” to his surname when his career began to take off. His father was a minister who relocated the family to Chicago. Cooke began singing in church at a young age. He joined three of his siblings to form the Singing Children in the 1930s. Later, as a teen, he joined a local gospel group called the Teen Highway QCs. The QCs were heavily influenced by the national gospel group The Soul Stirrers. In 1951, Cooke became the lead singer of The Soul Stirrers. The group had an aggressive travel schedule, performing at venues all over the country. After a few years touring with The Soul Stirrers, Cooke began to branch out into secular music. At the time, artists could not “crossover” from gospel to secular music. The sentiment was so strong that in 1956, when Cooke was ready to record his first pop song, “Loveable,” he did so under a pseudonym, Dale Cooke. But his voice was too distinctive – fans knew ‘Dale’ was actually Sam, and as a result of the backlash he was dropped as the lead singer of The Soul Stirrers. Cooke was married twice. He had a child out of wedlock with his high school sweetheart, Barbara Campbell, and a year later in 1953 married his first wife, Dolores Mohawk. They divorced in 1957, and in 1959 Cooke married Campbell. Cooke and Campbell had two more children. In 1963, their 18-month-old son Vincent tragically drowned in the family swimming pool. Cooke’s career success was solid in the early 1960s. 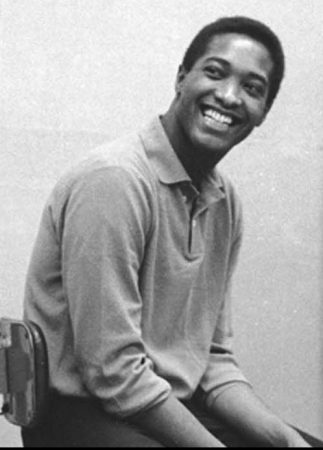 He had produced several #1 hits, retained control of his career objectives, and was starting to produce more socially conscious songs, such as “A Change Gonna Come,” which he wrote after witnessing the success of Bob Dylan’s “Blowin’ in the Wind.” Many thought Cooke was poised to break new ground in his songwriting, but in December 1964, Cooke was killed in Los Angeles. He was 33 years old. The circumstances of his death were mysterious, and some allege they were never properly investigated. Most of his awards were bestowed posthumously. He was inducted as a charter member of the Rock & Roll Hall of Fame in 1987. In 1989, he was inducted again, that time as a member of The Soul Stirrers in the Early Influencers category. In 1994, he was awarded a Star on the Hollywood Walk of Fame. And in 2013, he was inducted into the Rhythm & Blues Music Hall of Fame at Cleveland State University. Cooke has also been designated as the 16th Greatest Rock & Roll Artist of all time by Rolling Stone magazine. 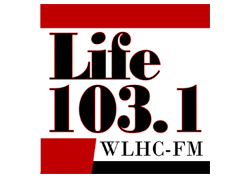 We at Life 103.1 are pleased to include in our “Timeless Favorites” playlist a number of his most popular hits, songs that are indeed timeless in their appeal.